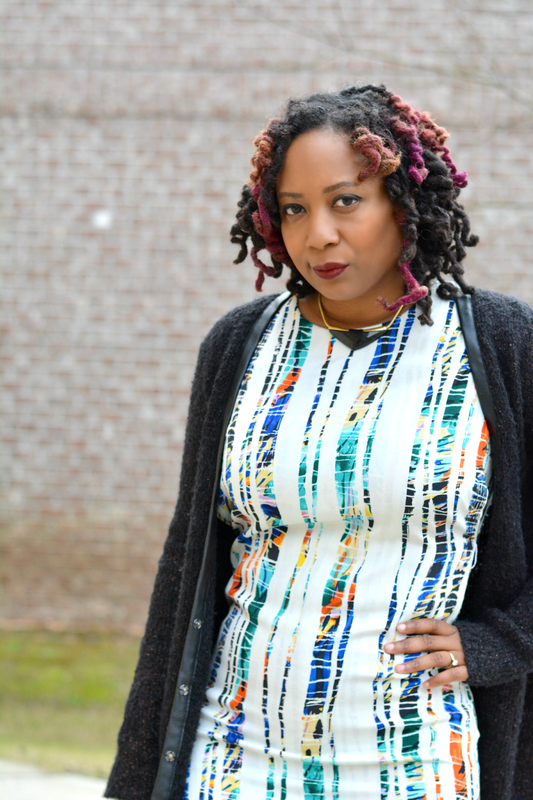 Since I'm playing around with winter layering, I've been going through my stash of summer clothes and rediscovering so many gems. I had completely forgotten about the Rachel Roy dress. I am in no way a label whore but it is a nice feeling to save big on designer clothes by purchasing them in thrift stores. I discovered this Rachel Roy jersey dress at Goodwill. It's about 5 years old. 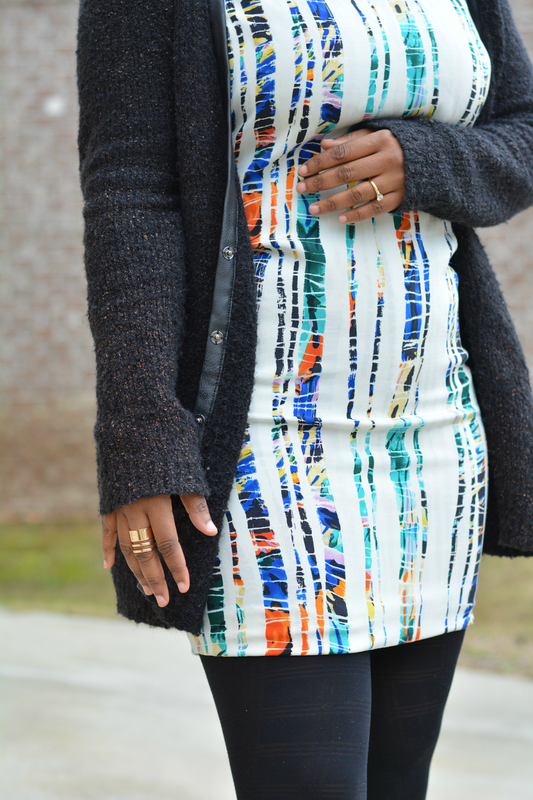 It's a basic sheath with a cute and colorful bamboo print. I paid $7 for it. The retail value was over $200. 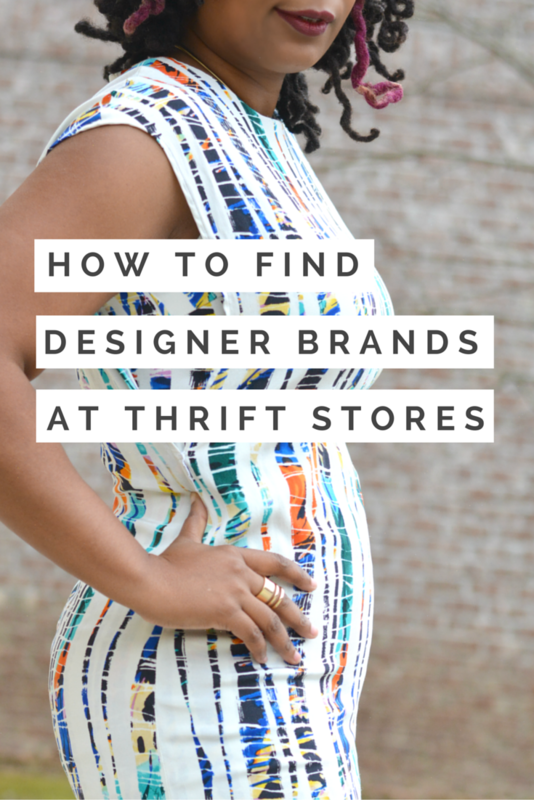 Thrifting for designer finds isn't that much different from anything else you thrift. It's harder to find though that's why I've pulled together a few tips to help guide the search. Happy hunting! Use your hands and eyes to review your find. How does the fabric feel? How does the stitching look inside and out? Designer clothes don't necessary equate to better quality but it's a good indicator. You can also google the designer name for details about the piece. eBay has a number of useful guide for popular designers. Merchandise from chain thrift stores are dispersed across many stores but the designer finds are likely to stay on the shelf a little longer in a more affluent neighborhood or less populated towns and suburbs. I found this dress in a Goodwill in the nicer part of town. I've found designer pieces all over but I'm more likely to see a sizable selection in wealthier towns and neighborhoods. Fakes are out there. If you've checked the quality and did some online research you should be able to determine if you have a counterfeit item or not. This is a bigger problem with purses but I've stumbled upon a few Burberry plaid scarves, trenches, and dresses with crooked stitching and generic looking labels. Beware. Consignment stores, eBay, and other online resellers are going to have higher price points because someone else has done the thrift hunting for you. If you want the low low, you'll have to root around yourself. Don't let a designer label be your only reason for making a purchase. Designer clothes aren't always cute or stylish so don't let the names blind you. Trust your judgement. What tips do you have for thrifting designer brands?